Ideal for visitors looking for a shared lifetime experience, special events and family gatherings, Senalala offers it’s guests an atmosphere of simple luxury a world apart from everyday life. Senalala accommodates up to 12 people in six spacious, air-conditioned chalets. 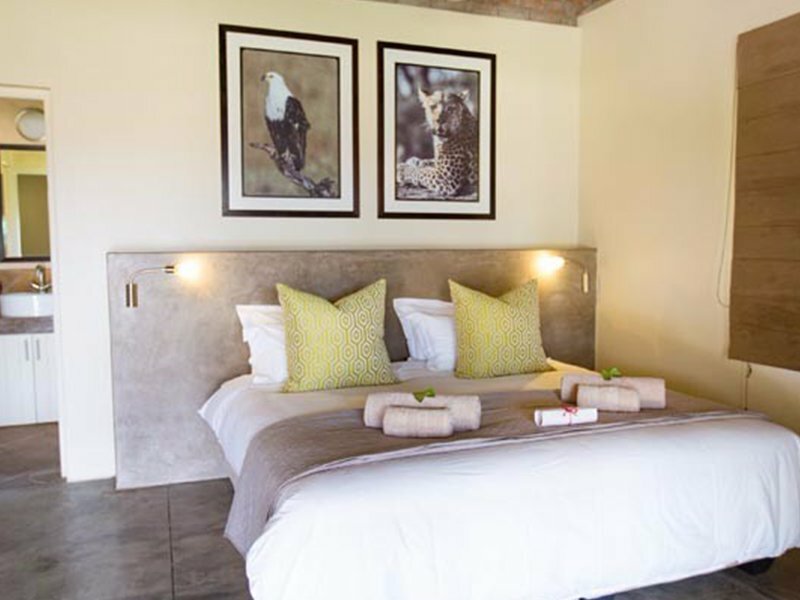 Two of these chalets feature two 3/4 beds and a large en suite bathroom with a standing bath and shower and four chalets feature a king size bed and a large en suite bathroom with a standing bath and shower. With a focus on privacy, luxury, and relaxation, you will feel at home as soon as you step through the gates of Senalala. Our friendly staff looks forward to your arrival. The above reflect 2019 rates. A lower single supplement MAY be available for families on a single reservation. Please contact the Camp for details. 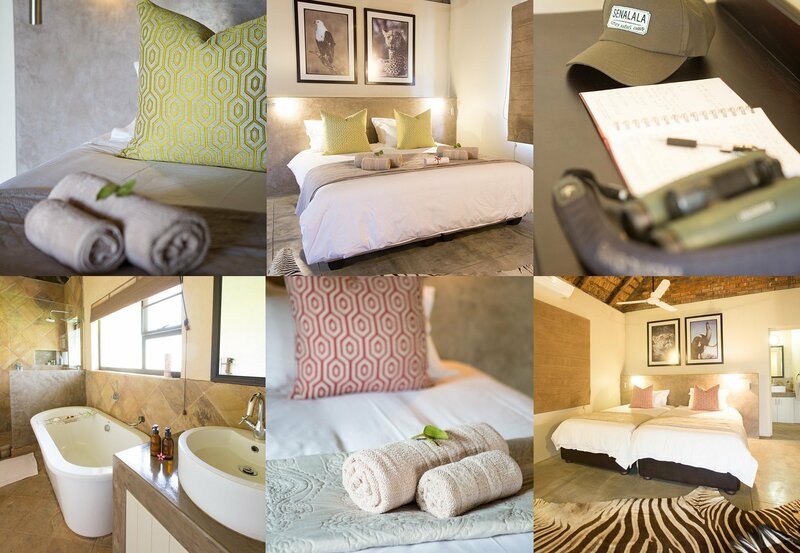 Accommodation, daily game drives and walking safari activities, all meals, a diverse selection of South African wines, beers, spirits (both domestic and imported) , soft drinks, mineral water, WiFi access and 15% VAT. 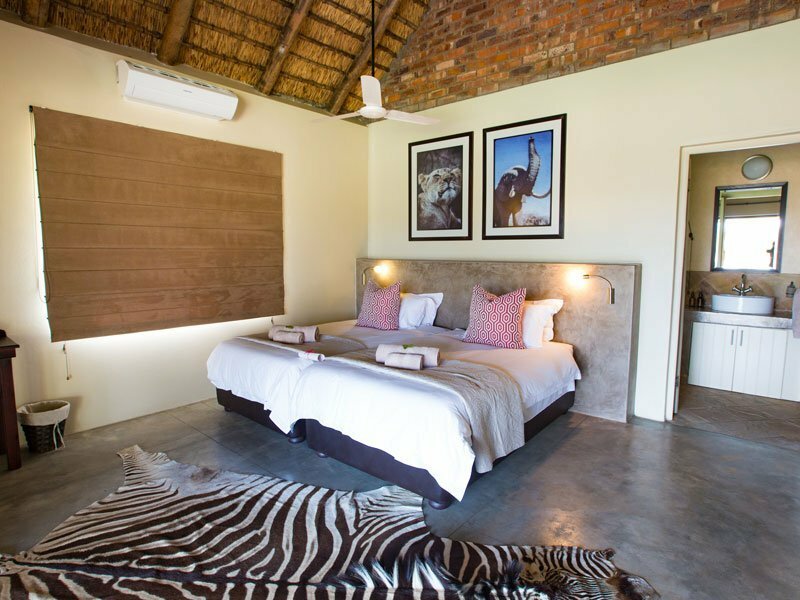 Any specialty alcoholic beverages, flights, transfers, gratuities, Klaserie Conservation Levy of R115 per person/per night VAT inclusive (R145 beginning Aug 1st 2019), Environmental Impact levy (R300 per person/per stay) and Klaserie Reserve entrance fee (R160 per vehicle). * Only reservations with a minimum stay of 2 nights are accepted. * We cannot accept any stay within 72 hours of arrival without prior camp approval. Inquire for discounted exclusive camp rate.